Get a quick start with your Aeropress Coffee and Espresso Maker and enjoy the most productive coffee you’ve ever had! 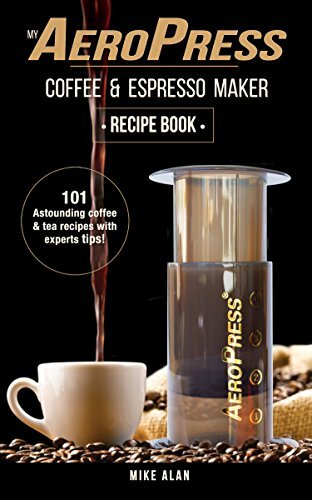 This book shows you exactly how to get the most out of your Aerobie Aeropress so you’ll be able to make delicious and creative coffee and espresso drinks like a pro! No other book incorporates specific instructions and recipes for your Aeropress. Combined with 101 of our best, hottest recipes, this book is the very best companion for any person who owns an Aeropress! – Add exotic flavors to make the most amazing coffee experiences you’ve ever tasted! Do you own an Aeropress coffee plunger? Then this book is for you. All of our recipes and “how to” information are designed specifically for the Aeropress, and that will help you with your way of life and health goals.